Perhaps you are driving into work for the day and the driver behind you is distracted by texting or playing with the radio and ends up rear-ending you at a stoplight. You may not know what to do after the incident if no major damage has occurred. Being rear ended by another vehicle may not result in significant damage to yours or the other party’s vehicle and no one may be injured. 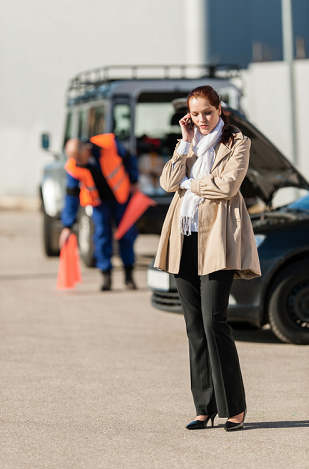 However, all car accidents should be treated seriously, even if they seem fairly minor at the time. Check all parties for injuries. If anyone has been injured, call for medical assistance immediately. Even minor fender benders need to be reported to the police. The police report is required for the insurance claim, so the police must always be contacted. This report serves as an official account of the incident as well. Because the incident might look minor or fairly insignificant, you or the other party may consider keeping the incident between the two of you. However, you always need to contact your insurance company to let them know of the incident and set up a claim, which allows them to do their own investigation. Pull your vehicles off the road. Police indicate if nobody’s hurt and vehicles are drivable to pull them off the road to reduce the potential hazard to other drivers and allow for the safe flow of traffic. Calmly and respectfully obtain info from the driver including names, phone numbers, driver’s license and registration, make, model and year of vehicle, owner of the vehicle and insurance policy information. It’s always advisable in this day and age of smart phone cameras to take any pictures of injuries, vehicle damage and surroundings. While some injuries are apparent right away, it’s not uncommon for some to present themselves a few days after the accident. It’s in your best interest to seek medical treatment if you have suffered any possibility of whiplash or other injuries in the incident. While rear end collisions are never something people look forward to, knowing how to handle them before the fact can cut down on the stress and frustration after they occur. In order to protect your rights after a rear end collision, it’s wise to seek the counsel of an experienced auto accident legal professional. It’s a good idea to keep a checklist in your car to make sure you gather all the necessary information. We have compiled a FREE checklist available to download & print — CLICK HERE. Hinman Law Group is experienced in dealing those who have been rear ended. Call (877)462-9732 for a FREE consultation with our attorneys.